The Magistrate judge extended on Thursday morning the arrest of two Jerusalemite children to continue interrogating them on suspicion of “planning an attack and possession of knives”. 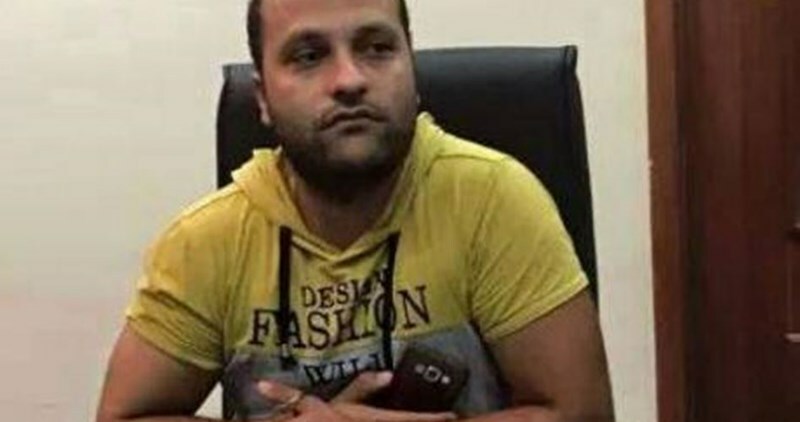 Lawyer Mohammad Mahmoud explained that the Magistrate judge extended the arrest of 12-year old Shadi Anwar Farrah and 12-year old Ahmad Raed Za’tari until Friday to continue interrogating them on the above mentioned charges. The forces had arrested the two children on Wednesday from Street Number 1 in Jerusalem on charges of possession of knives. The Israeli Prison Service (IPS) transferred Wednesday evening the injured female minor Lama al-Bakri, 15, from Hadassah Ein Kerem Hospital to HaSharon prison. 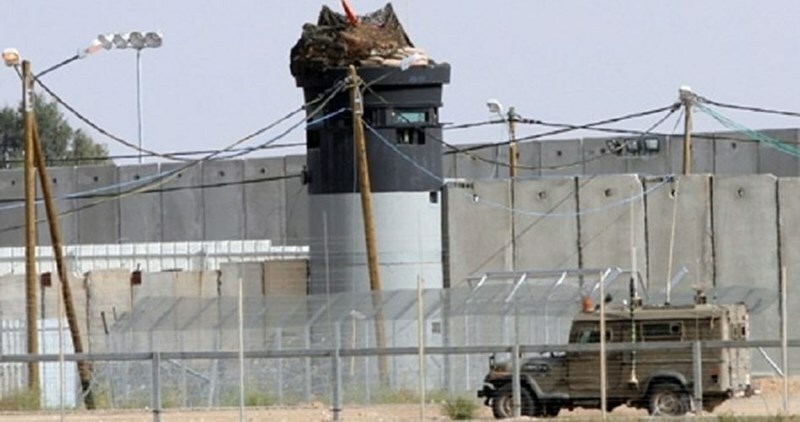 The Palestinian Prisoner Society (PPS) said that al-Bakri is pushed around in a wheelchair with her leg in a cast after being shot in her left leg during her detention. 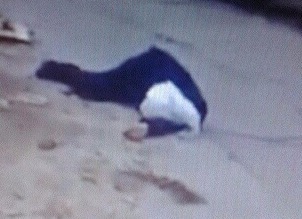 Al-Bakri was arrested on December 13, 2015 after being shot and injured by Israeli forces. Rights groups have reported that the number of Palestinian female detainees in Israeli jails and detention centers raised to reach 55 including 10 minors aged between 14 and 17. The Israeli Occupation Forces (IOF) carried out at dawn Thursday a large-scale raid campaign across West Bank cities and towns, where six Palestinian citizens were detained. Local sources said that a young man was arrested from his family house in Aida refugee camp north of Bethlehem. Two other youths from Nahalin town, east of the city, were detained for entering occupied Jerusalem without Israeli permit. During the Israeli raid in Nahalin, IOF served summonses to five local youths for investigation. In Nablus, IOF soldiers arrested two youngsters after storming different areas of the city. A disabled young man was among the detainees. Several homes were also stormed and violently searched in Beit Furik town, east of the city. A similar raid campaign was carried out in Joboa town, south of Jenin, amid heavy fire of tear gas bombs. At least one detainee was taken during the campaign. On the other hand, a make-shift checkpoint was erected overnight at the road linking between Jenin and Nablus. Palestinian vehicles’ movement was restricted in the area. Palestinian prisoner Shadi Mutawea, 28, has been on hunger strike for 17 days in protest at his isolation in Megiddo jail, his family said. 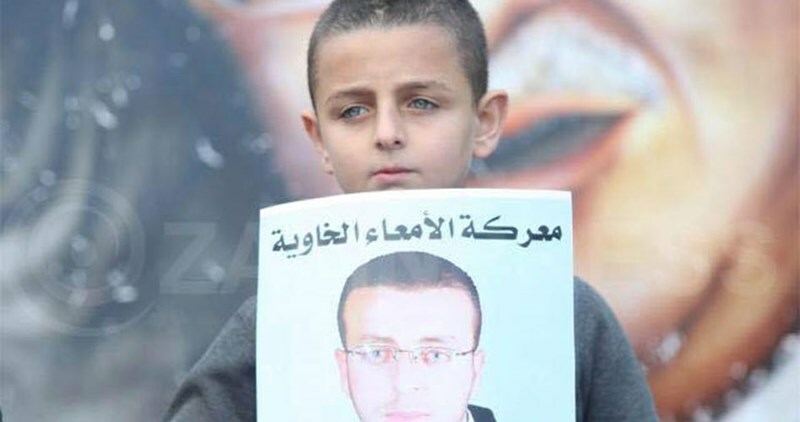 The family told the Palestinian Information Center (PIC) that prisoner Mutawea is held in harsh incarceration conditions and deprived of seeing his lawyer or relatives. The jailers also prevent him from getting winter clothing or other essential needs from his relatives or anyone, the family added. In another incident, Palestinian prisoner Dawoud Rayyan, 36, underwent surgery a few days ago for the removal of parts of his intestines in Hadassah Ein Kerem hospital. Rayyan suffered a serious bullet injury during his detention on Tuesday night. The Israeli occupation forces (IOF) on Wednesday evening kidnapped two Palestinian children from Occupied Jerusalem and two youngsters from Jenin province. Israeli news sources said two Palestinian children aged 12 and 13 were kidnapped by the Israeli occupation soldiers from occupied Jerusalem City on allegations of carrying knives. Both arrestees were dragged to an Israeli detention center on charges of intending to carry out an anti-occupation stabbing attack. Meanwhile, two Palestinian young men were kidnapped by the IOF near the Barta’a military checkpoint, to the south of Jenin province, in the northern occupied West Bank. The captives were identified by their family members as 30-year-old Mahmoud Nabil Qubha and 26-year-old Issam Rateb Qubha. 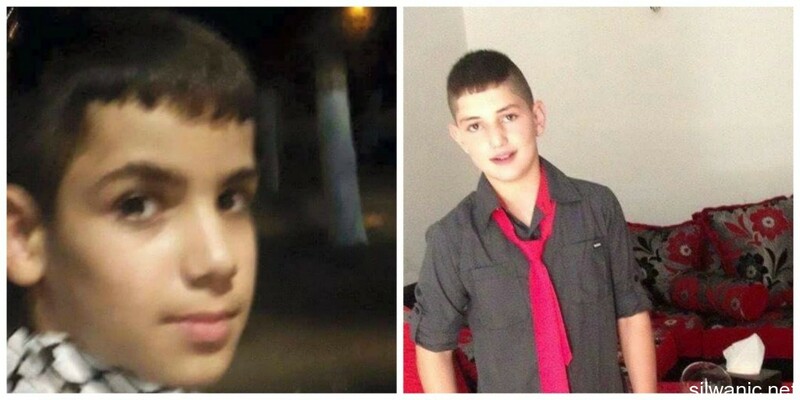 Both Mahmoud and Nabil were kidnapped on their way back home in Barta’a village. The Legal Center for Arab Minority Rights, Adalah, has said it has sent letters to top Israeli officials to urge them to investigate the reported abuse of a Palestinian child, who was detained on September 24, 2015 by Israeli soldiers in a border area with Gaza. The letters, which were sent to the government's legal adviser and the military attorney general by Adalah based on information from al-Mizan Center for Human Rights, said that Israeli soldiers maltreated and tortured a child from Gaza during his detention. "After they encircled and ordered him to strip naked, one of the soldiers removed a harness from a dog and unleashed it, which attacked the child and bit him in his right arm as the soldiers were standing nearby and laughing, and then the dog injured him in his left hand," the letters read. According to the letters, the soldiers took the child to a military base and forced him to sign a document in Hebrew, without him knowing its content. Later, the soldiers physically assaulted the child and detained him for long hours without providing him with any food or drink before he was transferred to Barzilai hospital and then released to Gaza, where he was given extensive medical care, the letters explained further. The letters were enclosed with medical reports confirming the child's exposure to physical and psychological torture by the soldiers. The journalist hunger striker Mohamed al-Qiq was transferred Thursday to Afula hospital after his health worsened, family sources revealed. Al-Qiq’s wife told the PIC reporter that her husband’s health condition has seriously deteriorated in Israeli captivity and added that he is unable to move and started vomiting. AL-Qiq is held in solitary confinement in spite of his difficult health condition, his wife pointed out. His wife, who is also a journalist, appealed to international human rights institutions to intervene to save her husband’s life before it is too late. Al-Qiq, a reporter who works for Saudi TV channel Almajd, was subjected to tough investigation for 20 days before being held in administrative detention which made him declare a hunger strike. Meanwhile, dozens of Palestinian journalists organized Thursday morning a protest vigil in solidarity with al-Qiq who declared a hunger strike 37 days ago. Representatives of the Palestinian Prisoners Society, the journalists syndicate, and Palestinian factions have participated in the vigil. The participants held photos of the hunger striker and banners calling for his immediate release. The health condition of Palestinian journalist Muhammad al-Qiq, who has been on hunger strike for 36 days, has seriously deteriorated, his lawyer Ashraf Abu Snina said. Al-Qiq started vomiting, his lawyer told the hunger striker’s family after meeting him Wednesday afternoon in Ramle prison hospital. He is scheduled to be taken to Afula hospital, the lawyer added. During the visit, al-Qiq affirmed to his lawyer that he is determined to continue his strike till his release. Al-Qiq, 33, was arrested from his home in al-Khalil more than a month ago. A human rights group issued on Wednesday a report documenting Israeli violations against Palestinian journalists and press freedom in 2015. The report stated that Israeli forces carried out nearly 600 violations against journalists in occupied Palestine since the beginning of 2015. During the reported period, Israeli forces killed two journalists and shot and injured 190 others, while 85 journalists were arrested including a foreigner. The Israeli public prosecutor submitted on Wednesday an indictment against two Palestinian fishermen for allegedly attacking Israeli Navy Forces off Gaza shores. 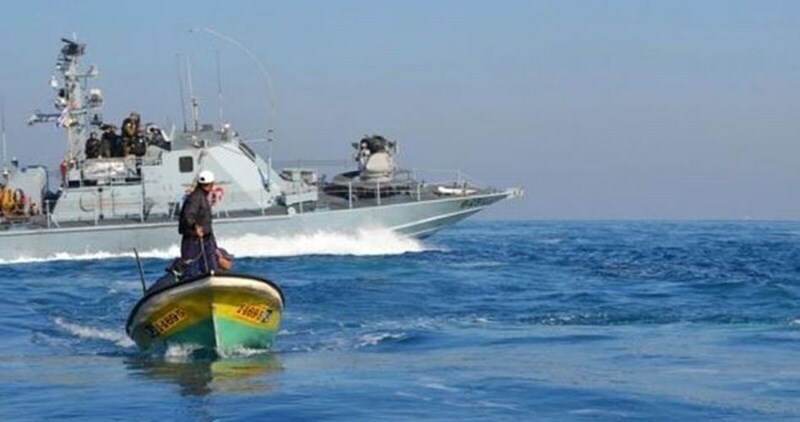 Israeli media sources claimed that two Palestinian fishermen exceeded recently the permitted fishing distance allowed by Israel and stoned Israeli Navy boats, which tried to stop them. A number of Israeli soldiers were injured after the Palestinian fishing boat deliberately crashed into an Israeli gunboat, the sources alleged. Israel has been systematically targeting Palestinian fishermen, preventing them from fishing and sometimes injuring and even killing them. Israeli forces kidnapped 28 Palestinians, including nine minors, from across the West Bank districts overnight, according to local and security sources. In Tulkarem city and the nearby Shwakeh Neighborhood, armed Israeli soldiers abducted four Palestinians, including two 18-year-old twin sisters. According to WAFA correspondence, a large military force reportedly raided a number of Palestinian homes, searching it thoroughly, before detaining two twin sisters identified as Diana and Nadya Khwaled, 18. Meanwhile, local Hamza Hammed was kidnapped from the Shwakeh neighborhood, to the north of the city, whereas Mohammed Salman was taken from the southern part of the city. 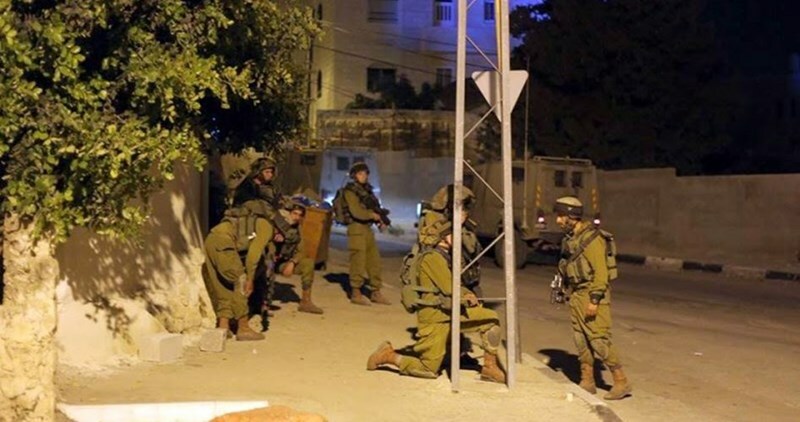 In Hebron, forces took three Palestinians, including a minor, during a raid into the town of Tarqumiya to the west. The detainees were identified as Ala’a Dababseh, 24, Ra’ef Qabajha, 24, and Hassan Mrqatan, 16. Forces also abducted a 15-year-old student near Abu Irish Israeli military checkpoint, in the Old City of Hebron. Local sources reported that Osama Abu Qwader, 15, was taken following clashes that broke out with Israeli troops near the school zone in Hebron’s old city. Furthermore, forces took six Palestinians from the Hebron area. They were identified as Younis Abu Rmeleh, 19, Bilal Ashour, 19, Hamza Qawasmi, 19, Ibrahim Sha’rawi, 21, Hamdan Ewaidat, 23. In the meantime, Israeli soldiers broke into three Palestinian-owned homes in the Ramallah town of Silwad, interrogating occupants and thoroughly searching all three homes. However no arrests were reported. Forces were said to have used police dogs while searching the homes. Forces also kidnapped four minors aged 17 from the town of Kharbatha al Misbah to the west of Ramallah. They were identified as Mohammed Kayed, Mohammed al-Habal, and Qosay and Mohammed Harfoosh. 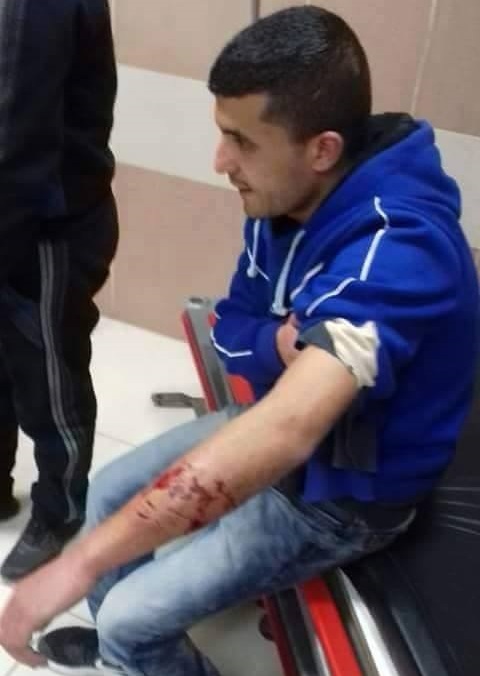 Three more Palestinians were taken from the Ramallah area of Beit Doqo, including an injured local. They were identified as Mohammed Marrar, 19, Ali Hasan, 21, and Dawood Rayyan, 34. In the Jenin area, armed soldiers took two locals identified as Hashem Shalabi, 38, and Fadi Za’rour, 30. 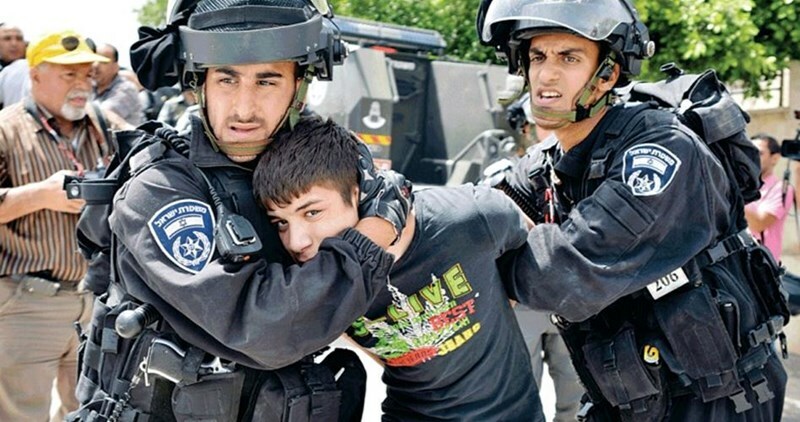 In Jerusalem, police kidnapped six Palestinians, including four children. They were identified as Mansour Salim, 18, and his brother Mahmoud, 16, in addition to Mohammed Abu farha, 17, Ibrahim al-Rajbi, 13, Ahmad Ghaith, 12, and Ishaq Ghtit, 23. The Commission of Prisoners’ Affairs (CPA) said, on Tuesday, that at least 6,830 Palestinians were detained by Israeli troops in the occupied Palestinian Territory since the beginning of the year 2015, marking the highest rate of daily arrests in five years. It said 3.285 Palestinians were detained in the past three months alone since the beginning of violent unrest in early October. To be noted, the Palestinian Detainees and Ex-Detainees Committee Studies and Documentation Unit said in a report that Israel has detained a total of 5,934 children over the past five years. 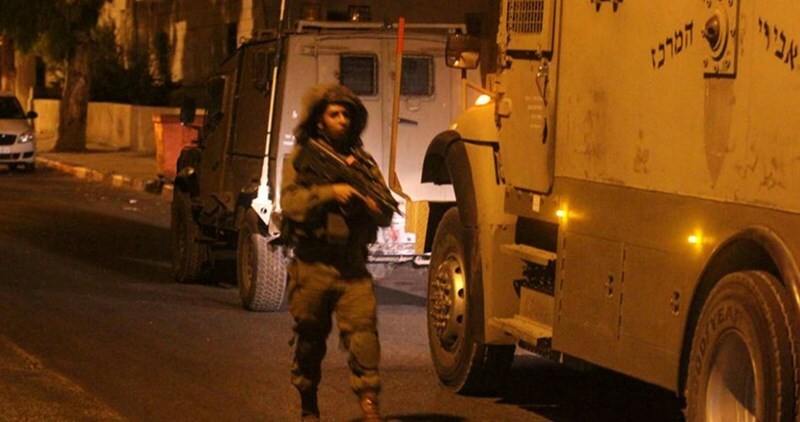 The Israeli Occupation Forces (IOF) launched overnight a large-scale raid and arrest campaign in the West Bank. Two girls and a leader in Hamas Movement were among the detainees. In Qalqilia, four youths were detained after IOF brutally broke into Azzun town amid heavy fire of tear gas bombs. The leader in Hamas Movement Sheikh Mohamed Shrim, who served sentences in Israeli and PA jails, was among the four detainees. Similar raids were carried out in Jayous town, near Qalqilia, where two brothers were summoned for investigation. In Tulkarem, two girls were among four detainees in al- Shweika area. At least one detainee was taken in a-Khalil while local homes were raided and searched in Beit Ummar town. Meanwhile, several towns were stormed in Jenin, north of the West Bank, where a young man was arrested. Local sources told the PIC reporter that Israeli forces deployed in large numbers in Jabloun town and arrested a young man after breaking into his family house. Several houses were also raided in Kafer al-Dik town near Salfit including the house of the slain Palestinian youth Mohamed Zahran. The martyr’s family members were interrogated during the raid. IOF soldiers also carried out raid campaigns in Silwad town in Ramallah, while overnight clashes were reported in occupied Jerusalem. Two youngsters were arrested during the clashes. Eight Palestinian civilians suffered injuries and 19 others choked on tear gas overnight Tuesday after the Israeli occupation forces (IOF) rolled into Beit Daqu and Abu Dis towns, in Occupied Jerusalem. Red Crescent sources said eight Palestinian protesters sustained live ammunition and rubber bullet injuries while 19 more suffered effects of tear gas inhalation in the clashes that burst out following the assault. The IOF reportedly attacked the Palestinian protesters in Beit Daqu village with heavy spates of bullet fire and tear gas canisters, wounding three civilians. Several casualties received field treatment after the IOF cordoned off Palestinian neighborhoods and were deployed across the main access roads to the area, preventing Palestinian ambulances from reaching the scene and evacuating the casualties to hospital. A Palestinian protester was directly shot in his eye while another injured protester was kidnapped by the IOF in the same clashes. 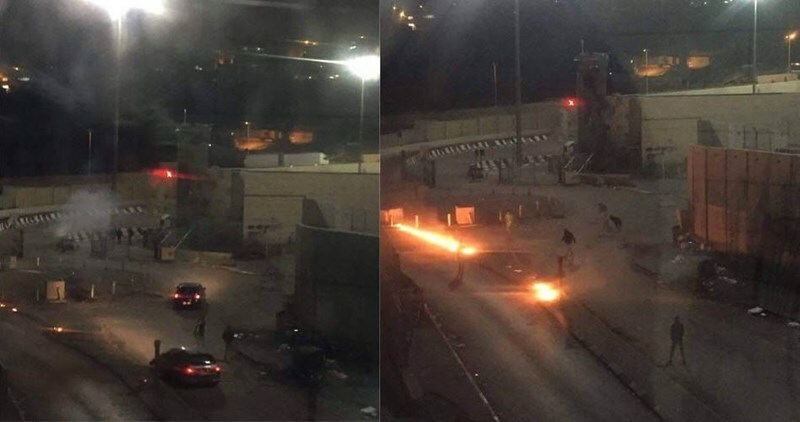 Violent confrontations further rocked Abu Dis town and the Shu’fat refugee camp, where the Israeli occupation troops attacked the Palestinian protesters and anti-occupation activists with bullet fire and tear gas grenades. Red Crescent crews said they treated five protesters for rubber bullet wounds and 19 others for critical breathing disorders in the town. Over recent weeks, the Israeli occupation army and settlers stepped up aggression and terrorism against Palestinian citizens in Occupied Jerusalem and the occupied West Bank in an attempt to smother the underway anti-occupation intifada, which started in early October. A Palestinian ex-prisoner was rushed to hospital on Tuesday after an Israeli occupation patrol stormed his family home and unleashed an untamed dog on its inhabitants. The Ad-Dameer Institution for Human Rights said in a statement the Israeli occupation forces stormed the family home of 26-year-old ex-prisoner Muayad Makhlouf, in northern Occupied Jerusalem, and set a dog attack, causing him serious wounds. The casualty was evacuated to the Palestine Medical Complex after the dog bit his left hand. Muayad was later quoted by the Ad-Dameer group as stating that over 15 Israeli soldiers, escorted by an undomesticated dog, broke into his family home. The dog kept biting his hand several times and for over five minutes. Muayad said the occupation soldiers turned blind eyes and deaf ears to his appeals to save him and pull the dog. The occupation patrol further kidnapped Muayad’s 22-year-old younger brother, Mu’men, and dragged him to an unidentified destination. Muayad, an ex-prisoner, was kidnapped by the Israeli occupation forces in 2005 and sentenced to nine years in jail before he was released in 2014. He was re-arrested on November 8, 2015 and released a couple of weeks later, during which he had reportedly been subjected to exhausting questioning.